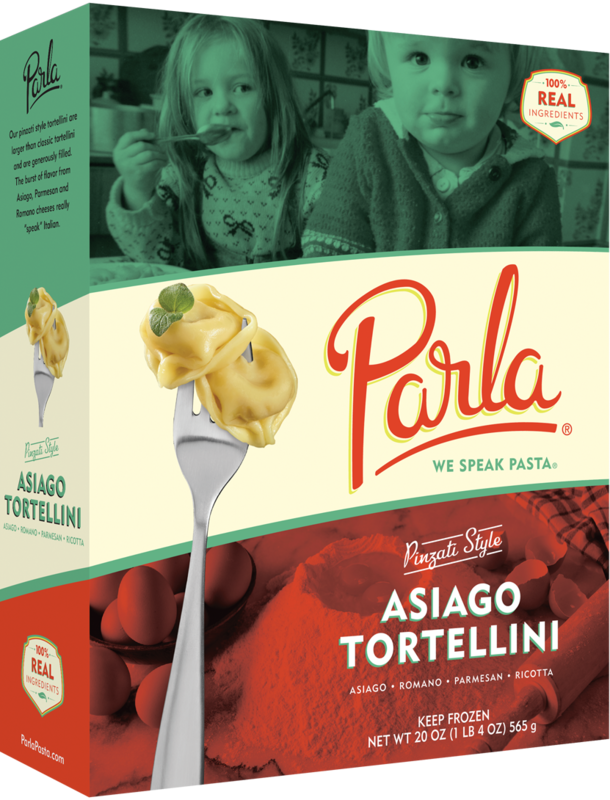 We love that our pinzati tortellinis look like two arms, hugging. They certainly are lovable. Our pinzati-style tortellini are larger than classic tortellini and are generously filled with quattro formaggi: Asiago, Parmesan, Romano, and ricotta cheeses. Collectively, the vibrant flavors of these cheeses really “speak” Italian. The possibilities are endless. Serve this pasta hot and sauced with pesto, marinara, or a meat sauce. Float in a soup. Toss in a salad, with Italian dressing, of course! Are you and your family in a hurry? Remember the three B's: Just boil, butter and bite!